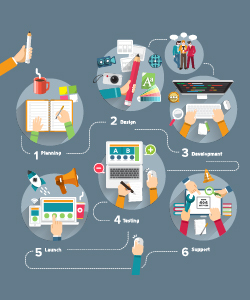 The role of the instructional designer varies from campus to campus and comes with its own unique set of responsibilities and challenges. 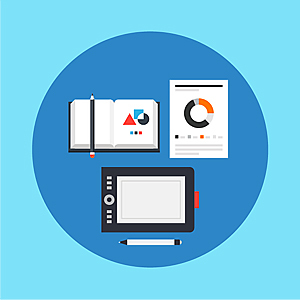 This curated collection provides resources that are both unique to the role and preparation of the instructional designer, as well as resources that provide instructional designers with supplemental knowledge and skills to enrich their role and collaborations with others in the higher education field. 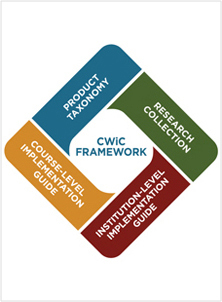 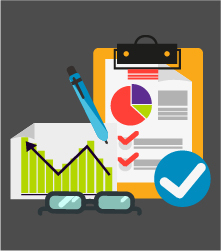 Are you looking for a quick overview of articles/resources on instructional design? 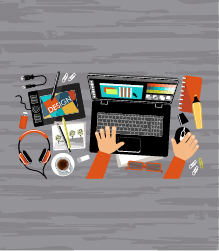 This annotated bibliography will provide just that and then you can decide which articles you want to take a closer look at. 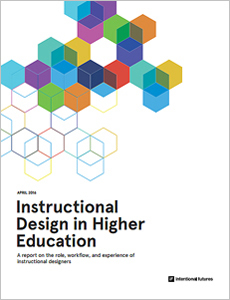 Instructional Design in Higher Education This report highlights the opinions instructional designers have of their backgrounds, experiences, and roles. 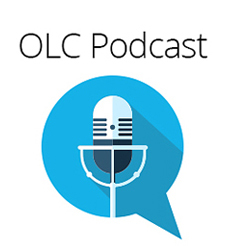 We hope it lends a voice to their breadth of backgrounds, responsibilities, and viewpoints. 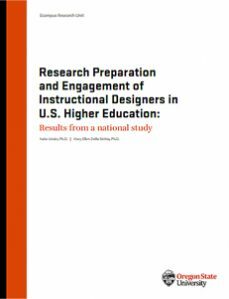 Research Preparation and Engagement of Instructional Designers in U.S. Higher Education – Results from a national study The study targets institutional designers from campuses all over the US to explore the research engagement and training of instructional designers in institutions of higher education. 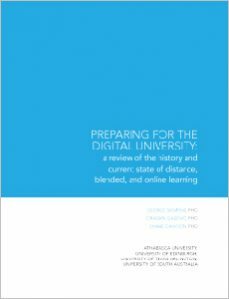 Preparing for the Digital University: a review of the history and current state of online, blended, and online learning Explores the importance of the human factors: social interaction, well-designed learning experiences, participatory pedagogy, and effective techniques for using technology to support learning. 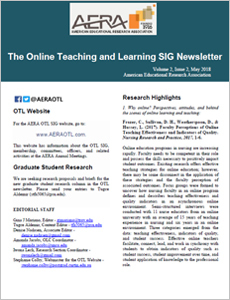 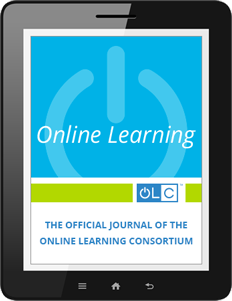 OLC Online Learning Journal Online Learning is OLC’s peer-reviewed journal. 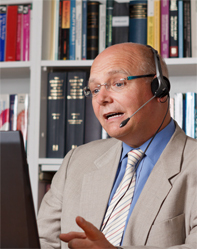 Explore the searchable database of 21 years of manuscripts. 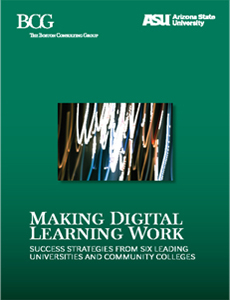 Courseware In Context This Research Collection database provides information regarding digital courseware and allows users to suggest articles for the collection. 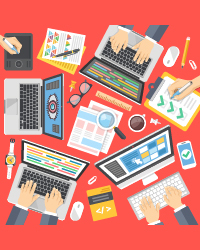 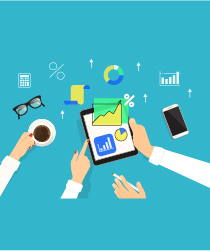 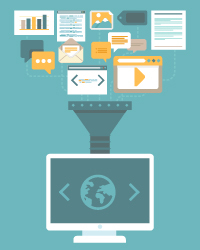 Developing a Unified Content Strategy in The Time of Adaptive, Digital, and OER Where do you want your institution’s content strategy (or mix, or model) to be in four years? 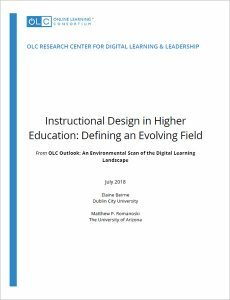 From Classroom to Campus-wide Leveraging Instructional Designers at Different Scales In this webinar, panel members will discuss strategies to leverage instructional designers on campus. 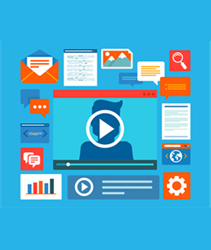 Instructional Designers in Higher Education: The Role, Responsibilities and Experiences of Instructional Designers In this webinar, learn all about instructional designers; their role, responsibilities and experience. 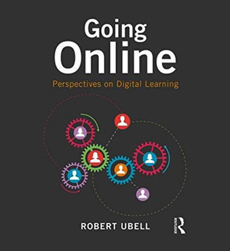 What You Can Do Online but Not On Campus—Innovations in Digital Education Author Bob Ubell discusses themes from his book, covering covers what it is, how it works, where it came from, and where it may be headed. 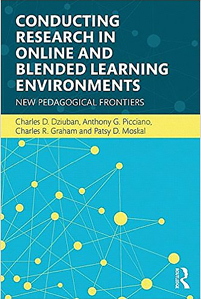 Conducting Research in Online and Blended Learning Environments This book examines various perspectives, issues, and methods for conducting research in online and blended learning environments. 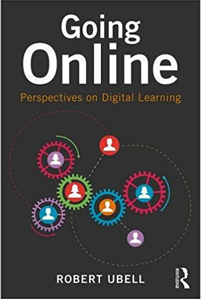 Going Online: Prespectives on Digital Learning One of our most respected online learning leaders offers insights into virtual education—what it is, how it works, where it came from, and where it may be headed.